A few minutes ago I was standing in front of a room filled with four and five year-old kids at my son's preschool. The school's director asked parents who were vets to come in today or to bring memorabilia to honor someone in the family who is a veteran. 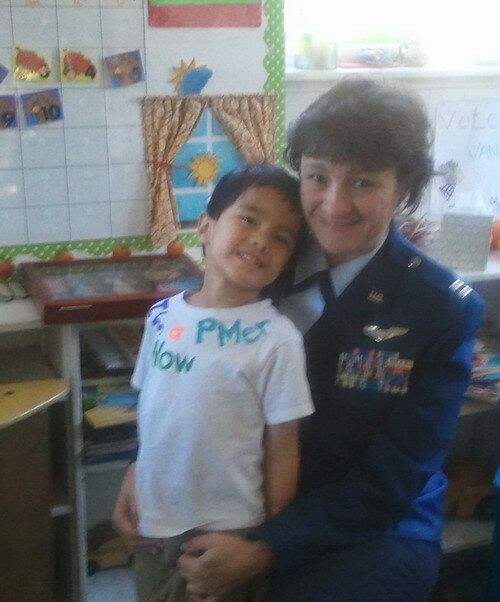 Dressed in my full Air Force blues uniform, my son holding my flight suit to show "the uniform mommy wore in the airplane," I felt the unique privilege of getting to explain military service to our littlest students, perhaps for the first time in their lives. Having been part of this fantastic preschool community for six years, I've learned to explain the word veteran, to explain military service using age-appropriate language. Medals on my uniform are "prizes for good work," squadron-specific or deployment-specific patches on my flight suit are "the colors of our team," and insignia like the aeronautical rating of aircraft navigator that I wear are simply "shiny wings." As I left to hide in a nearby café to do my afternoon writing, I pondered what parents in the USA tell their school-age children about Veterans Day and about military service. I have a theory that people with no history of military service and no family members currently in the military may describe today's holiday and military service using language very different than families with ties to the military. Am I right? Am I wrong? I'm curious to know what children are learning today from their parents. 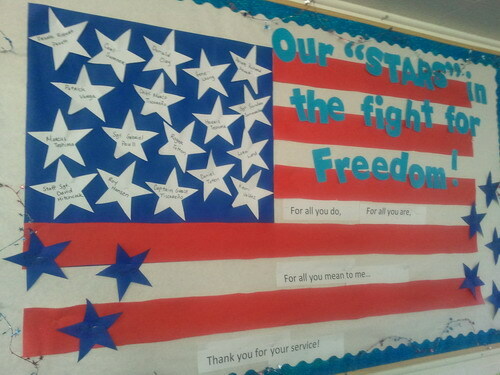 What are you telling your children today about Veterans Day? What do they understand about why they have a day off from school on Friday? How do you explain military service to your young children? I'd love to hear from as many parents as possible, so we can all learn how to talk about these important topics, today and going forward. 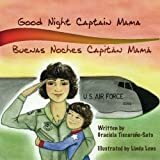 CEO & Publisher, Gracefully Global Group LLC & Author, "Good Night Captain Mama" & "Latinnovating"